No matter how good your diet is, in today’s toxic world, most people need a little health boost now and then. Here are 7 key nutrients that most everyone could benefit from taking. Unless you eat a 100% organic, whole, raw foods diet (and maybe even then), you’re likely lacking in some key nutrients for good health. Even if you eat tons of veggies every day (which most people don’t), our over-farmed, nutrient-depleted soils mean that many vegetables may be less nutritious than they were decades ago. Not to mention all of the modern toxins our bodies are bombarded with daily! Is it any wonder that we need a little extra help when it comes to receiving all the nutrients we need to stay healthy? 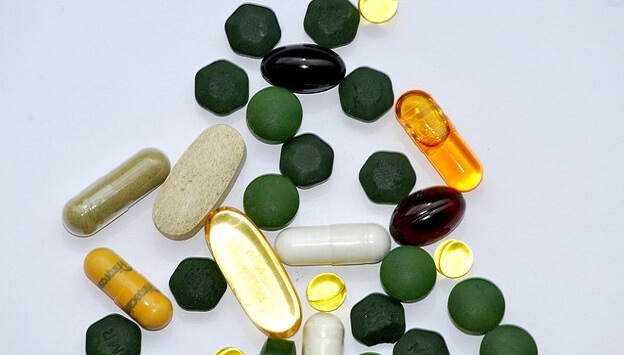 While you don’t have to take every supplement under the sun, here are 7 key nutrients that many people in today’s modern world are lacking, and could benefit from taking. Fish oil, with its generous dose of the omega-3s EPA and DHA, can reduce your risk of dying from cardiovascular disease. It lowers blood pressure slightly and triglycerides even more. But that’s not all fish oil can do. It’s also an extremely effective anti-inflammatory. (1) Since inflammation is involved in nearly every degenerative disease from Alzheimer’s to cancer, supplementing with fish oil is one of the single best things you can do for your overall health…. The health benefits of vitamin D extend to at least 100 diseases, most notably cancer, cardiovascular disease, diabetes, respiratory infections and autoimmune diseases. Beneficial bacteria keep harmful micro-organisms in check, aid digestion and nutrient absorption, and contribute to immune function. This amazing nutrient is critical for a healthy heart. It also helps control blood sugar, is essential for strong bones, and helps relax you when you’re stressed. This compound found in the curry spice turmeric is best known for its anti-inflammatory properties. But that’s just the start of its healing qualities. Curcumin may also have anti-cancer, anti-arthritic, antiviral, antifungal and immune-boosting effects…. Credited with being responsible for the “French Paradox,” resveratrol has drawn a lot of attention as an anti-aging nutrient. Research has shown resveratrol extends the life of every species studied so far, from fruit flies to monkeys. But it’s also a potent antioxidant and anti-inflammatory, and may also have powerful anti-cancer properties. They’ve also recommended everyone should take a multivitamin to prevent deficiencies. Vitamin deficiencies—especially when mild—can contribute to a whole host of problems including osteoporosis, chronic pain, depression, heart disease and cancer. For more information, plus dosage recommendations, visit HealthierTalk.com. What’s The Big Deal About Blood Pressure Anyway? Is Himalayan Pink Salt Really Healthier?